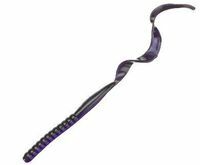 Buy 10" Ribbon Tail Worms from Lockett Lures. From small ponds to great lakes, these big worms attract the big fish. These tails have insane action in the water that will cause any big fish to strike.